1. First - open up Framework Manager and create a new (empty) Framework Model. In the example shown below, we've called it "recover-lost-model". Looking in Windows Explorer, you can see that Framework Manager creates 9 files for this new Framework Model, the most important of which is model.xml (this file contains the model information). Close Framework Manager. 2. Now, we're going to use MotioPI to recover the model.xml file for the lost model from Cognos. After you've launched MotioPI, go to the Model panel and click on the "Package Selector" button. 3. Select a package that was published from the Framework Model you're trying to recover. 4. 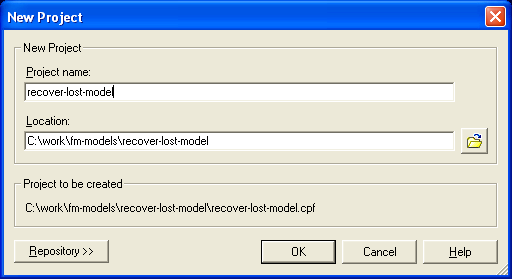 Click on the "save local" button to recover the model.xml file for the lost Framework Model. 5. 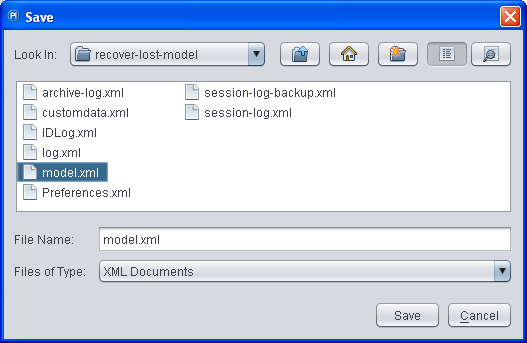 Save the recovered model.xml file over the model.xml file which was created as part of the blank Framework Manager model in step 1.